System setup is the Developer VM (Ubuntu VM on VirtualBox, Host is a Mac) as described in earlier posts. 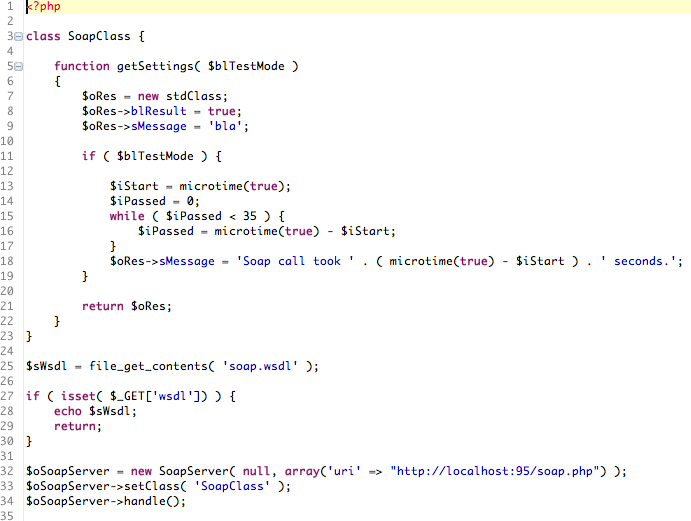 and a script that streams out the wsdl file in case GET parameter ‘wsdl’ is supplied and invokes SoapServer if not. The only function here is named getSettings and expects one boolean parameter named blTestMode. This example will be used later to test timeout behaviour of calls to external services. 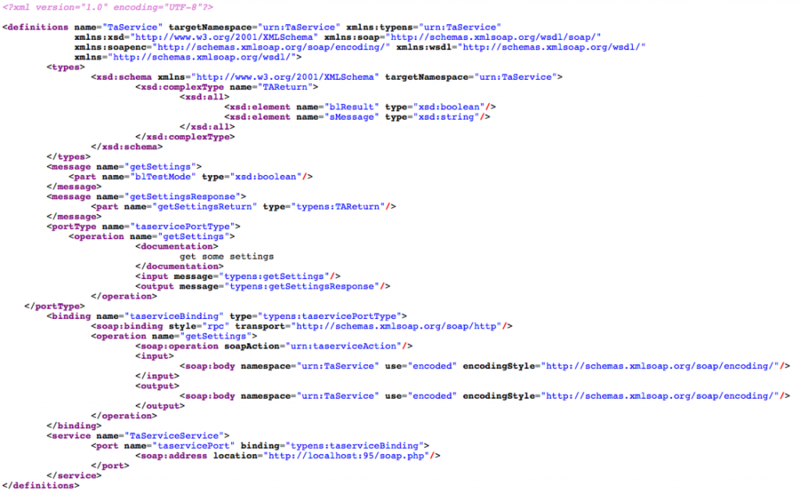 This entry was posted in howto and tagged PHP, SOAP, webservice. Bookmark the permalink.